This is Jeff’s third year in the Toronto Fringe, but his first with Shakespeare Bash’d! Recent stage credits include The Cousins of Corsica(SpringWorks – People’s Choice Award); Mourning Dove (Sudbury Theatre Centre); The Love Game (North of Maine); Much Ado About Nothing (Single Thread); Model Wanted (NotaBle Acts); God’s Middle Name and Wally Finds His Inner Bear (Theatre New Brunswick). Jeff is a Maritimer. He loves his cat, seafood, and BBC television. This year Jeff will also be reprising his role as Marlowe in Shakey-Shake and Friends’ Hamlet… A Puppet Epic! Jade Douris is a Toronto-based actor and producer. Recent acting credits include Moth in Love's Labour’s Lost (Shakespeare BASH'd), Dromio of Syracuse in The Comedy of Errors (Urban Bard), Hermia in A Midsummer Night's Dream and Ophelia in Hamlet (Shakespeare at Play). Jade was an associate producer on Macbeth (Shakespeare BASH’d). She is the Artistic Producer of Everybody to the Theatre Company, having produced and appeared in The FAILURE Show (Halifax Fringe, Best Ensemble Cast jury award). She is a member of Fracas Theatre, having co-produced the critically acclaimed Raton Laveur (2011) and Toronto Fringe Best New Play/Patron’s Pick winner The Oak Room (2013). Upcoming: Jessie McLaren in At the Gates of the Righteous in the Playwright Project, playing all over Toronto in October of 2015. www.jadedouris.com, Twitter: @jadedouris. Lynne loves Sean, Lynne loves Shakespeare, so getting to play Ms. Quickly is another perfect marriage and a blessed way to spend the summer! She has appeared in major theatres across Canada and the U.S., including Stratford, Shaw and the Old Globe Theatre in San Diego. Recent local credits: Harper Regan, Hedda Gabler, Hamlet, The Seagull and The Beauty Queen of Leenane. She played the title roles in Antigone, The Lark, and A Doll’s House at Theatre Plus. She played the Nurse in Romeo and Juliet four different times. Television appearances: Michael Tuesdays and Thursdays, Happy Town, Riverdale, Wind At My Back, Murdoch Mysteries, and she played Mrs. Santa in Santa Baby 1 and 2 for ABC-TV. Her films include the cult hits Strange Brew, Black Christmas and Curtains. Andrew is thrilled to be joining Bash'd at the fringe this year. Select previous credits: Duke Benedicto in Cousins of Corsica (Stratford Springworks); Antipholous of Syracuse in Comedy of Errors (Humber River Shakespeare); Guildenstern in Rosencrantz and Guildenstern are Dead, Demetrius in Midsummer Night’s Dream (Hart House Theatre); Mr. Green in Secretary (pivotal(arts) Theatre); Malcolm in Macbeth, Orsino/Feste in Twelfth Night (Classical Theatre Project). He is currently touring across North America in Soldiers of Song: A Tribute to the Dumbells. Andrew studied at the University of Windsor and the Moscow Art Theatre School. His performance of Orsino/Feste was nominated for a Dora award. Love, as always, to my super-dainty Kate. David most recently appeared in Arcadia at the Citadel Theatre in Edmonton. His previous credits with Shakespeare BASH’d include Macbeth, Love’s Labour’s Lost, Romeo and Juliet and The Taming of the Shrew. Other credits include Cold Comfort (Fly on the Wall Theatre); After the Fall (Equity Showcase), The Weir, The Good Thief (MacKenzieRo); Aftershock (SummerWorks); Rosencrantz and Guildenstern are Dead (Touchmark Theatre); Half Life (Rose Theatre); All’s Well that Ends Well, As You Like It, The Two Gentlemen of Verona (Shakespeare in the Square); Lucrece (Willow Cabin Theatre Company); Peter Pan (TheatreWorks/USA); Candida, Of Mice and Men (Kentucky Repertory Theatre); A Christmas Carol (Arts Trust). Film/TV credits include Amelia and The Rick Mercer Report. 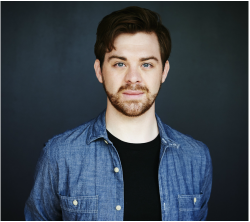 David is a graduate of the Citadel/Banff Centre Professional Theatre Program, Circle in the Square Theatre School (NYC), and completed his Classical Theatre Training at London's Royal Academy of Dramatic Art. This is Suzette's second performance with for Shakespeare Bash'd. When asked her feelings on this venture she is quoted as saying, "Yippeeeee!" You may have seen her at the 2014 Toronto Fringe Festival playing Rosaline in Love's Labour's Lost (nominated for Best Ensemble at My Theatre Awards). She recently played Josie in The Skriker for Red One Theatre Collective (Top Ten Theatre Productions of 2014 by the Now Magazine) She has also appeared at Bernice in Bus Riley's Back in Town (The Remnants), Isabella in Norman Yeung's Theory, Miss Cornelia Scott in Something Unspoken (The Playwright Project) and Oppenheimer in Bloom (Steam Power Theatre)She played 'Stage Manager' in Play: The Film by Kelly McCormack which won the People's Choice Award at the Canadian Film Festival. Suzette directed her first short film, 9 9 . 7 % (Official Selection of aGliff 2014) and followed that up with a trio of short films, Triptych Triptych Triptych due to hit the 2015 festival circuit. Suzette works to change the way that women see themselves and their contribution to society by telling fresh stories. Julia is a Toronto-based actor and producer, currently acting as the Artistic Producer of Theatre Caravel, where she co-curates the company’s popular new-works event, Sea Change, as well as producing for the award-winning Shakespeare company, Shakespeare BASH’d. For the past two years she has worked as the Managing Director of Theatre Columbus and is now part of the team at The Theatre Centre, as the Box Office & Front of House Manager. As an actor, Julia recently performed the title roles in Daniel MacIvor’s See Bob Run (Theatre Caravel), and 2012 Best of Fringe winnerThe Taming of the Shrew (Shakespeare BASH’d), as well as the appearing in the critically acclaimed Shakespeare BASH'd productions of Much Ado About Nothing, Love's Labour's Lost, and Romeo and Juliet. Zach is a Toronto based theatre artist, originally from China Township, Michigan. Theatre: The 10/10/10 Project (Chrysalis Workshop) A Midsummer Nightmare (Leroy Street Theatre). And Now, The End (ANTEup, TPM Mainspace, SummerWorks); Six Characters in Search of an Author, Cinderella, Lion in the Streets, The Girl From Maxim's, Antigone, Richard III (Ryerson Theatre School), War & Peace (Hydrama, Greece); The Icewoman Calls (Mixed Company, Flint, MI); Will on The Water Shakespeare Festival (Enter Stage Right, St. Clair, MI). Film: The End of The Tour (Anonymous Content). Co-Writer/Co-Producer: And Now, The End (ANTEup, SummerWorks) Training: BFA Performance Acting, Ryerson Theatre School. Zach is psyched to be working with talented friends, both old and new. Catherine is thrilled to be working with BASH'd again this summer. This is her first time wearing a director hat and she is so grateful for the opportunity to work along side James. He is a fantastic teacher and a wealth of knowledge. Acting credits include: Taming of the Shrew, Shakespeare BASH'd, Love's Labour's Lost, Shakespeare BASH'd, Circle Mirror Transformation, Great Canadian Theatre Company, Romeo and Juliet, Twelfth Night, Classical Theatre Project. She sends her love and thanks to Pat for being so patient in this crazy time. A.J. is ecstatic to be making his Shakespeare BASH'd debut at this year's Fringe. A graduate of the Grant MacEwan College Theatre Arts Program and the National Theatre School of Canada, A.J. is a Co-Founder of Shakespeare in the Ruff, for whom he is their Dramaturg and the Co-Ordinator of the Guerrilla Ruffian Shakespeare Squad. Meanwhile, he is the Dramaturg for the Shakespeare in Hospitals 2015 Program (Spur-of-the-Moment Shakespeare Collective), and his adaptation of The Tempest will be directed by Diane D'Aquila for Shakespeare by the Bow in Calgary. Upcoming acting gig: Banquo in Macbeth - Walking Shadows (Shakespeare in the Ruff). Past Shakespeare BASH'd productions include: Macbeth in Macbeth; Don Adriano de Armado - Love’s Labour’s Lost; Capulet - Romeo and Juliet; Don Pedro - Much Ado About Nothing; Grumio, Vincentio - The Taming of the Shrew. Other credits include: Richard III (Shakespeare in the Ruff); Brave Hearts (Harry Warren Theatre, Brooklyn); Waiting for Godot; I Had a Job I Liked. Once. (Sudbury Theatre Centre); Wild Abandon (Theatre Caravel); Romeo & Juliet (Signing the Bard, Kennedy Cathy MacKinnon); Frankie & Johnny (Apuka Theatre); Half Life; Two Gentlemen of Verona; As You Like It (Brampton Theatre Festival); King Lear (Hart House); Macbeth (Classical Theatre Project). Sean Sullivan is ecstatic to be working with Shakespeare Bash’d and this wickedly talented cast. Most recent productions; Liver, Out At Sea, (Storefront), A Midsummer Nightmare, (The Great Hall), Potosi, (Toronto Fringe), and The Seagull with the Chekhov Collective, (Berkeley Street). 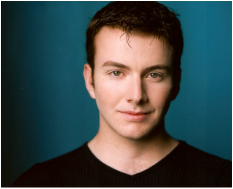 He has performed in twelve plays at the prestigious Old Globe Theatre in San Diego, CA. Other favourite roles include: his award-winning solo performance in Baby Redboots’ Revenge, (directed by his wife, Lynne Griffin, in New York, Toronto, Los Angeles, San Diego and Central Europe), Norman in The Dresser, and Davey/Leon in Voice of The Prairie. Selected film credits: God and Country, (upcoming), Wayne’s World, Back To The Future III, Foolproof and The Howling VI. Selected television credits: Damien, Hemlock Grove, Good God, The Associates, (series regular), Across The River To Motor City, Poor Tom Is Cold, Babylon Five and Quantum Leap. I love you, Lynnie.